Properly functioning gastrointestinal system is critical for overall health. 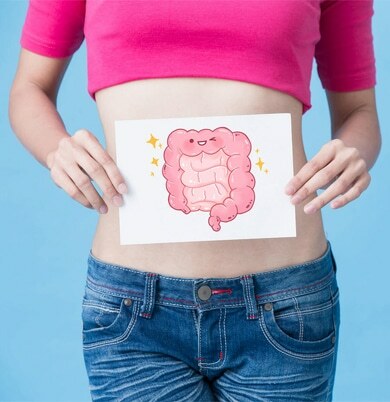 A properly functioning gastrointestinal system is critical for overall well-being, yet it is often treated as the red-headed stepchild of the body – under appreciated, ill-treated and otherwise ignored unless it starts making a lot of commotion. Suffice to say, if the body allocates this many resources to one particular system, it must be important. We don’t really feel our guts. Specifically, we don’t often feel gut pain or any other sensations. That’s because our guts lack pain sensing receptors (known as nociceptors). Nocioceptors sense noxious stimuli and send signals to our brain to let it know. These signals are registered as “pain.” For example, the next time you accidentally step on a nail or sharp object, thank your nociceptors. They’re responsible for forcing you to remove your foot to prevent further damage. …you can be sure you have some type of gastrointestinal dysfunction. Yet, oddly enough, many other symptoms typically aren’t experienced in our GI systems. Often, things like hormonal imbalances, migraines, allergies, eczema, and autoimmune disease all can be traced back to GI system problems. Interesting, isn’t it? If you have gastrointestinal issues and would like to discuss what your options are then contact our office now.